It's about time for a good Ol' Fashion HAFLA!!! Not sure what that means? 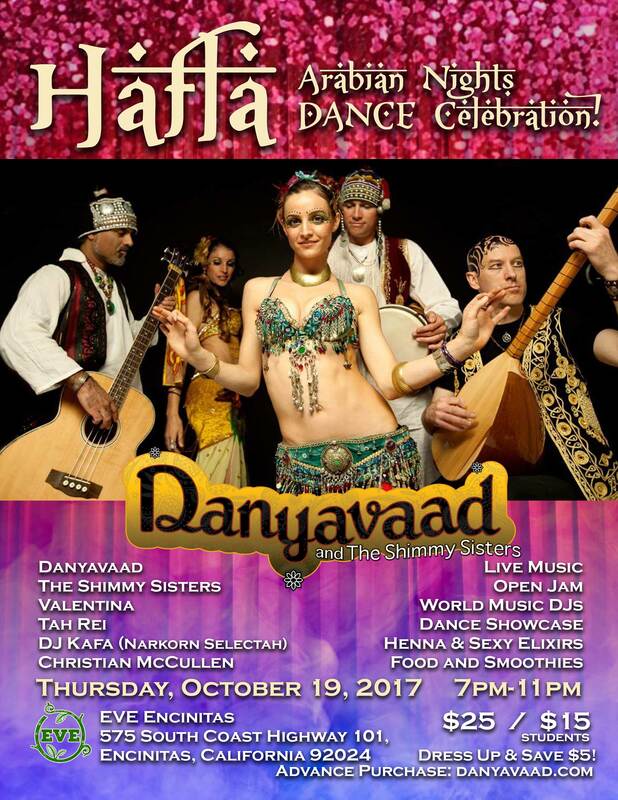 Hafla is an Arabic word describing an informal gathering where people dance socially together and/or showcase their skills amongst friends. It's a beautiful tradition in belly dance...one that I personally miss! With so many talented teachers and blossoming students in SD, the time truly is now. Well, Thursday the 19th;) Mark your calendars!!! ~ Short performance from Shimmy Sisters and other talented SD Teachers like Valentina Orbit!! .....and MORE still coming together!!!! *** If you have an offering you would like to contribute please let us know! We are happy to offer you free entrance if your contribution fits event/vibe! We may also need a couple volunteers to help out the night of. PM me (Adelaide) if this interests you! Come One Come ALL! Come hungry and leave satiated! Whether you dance for fun, are a student, or a professional, this is our opportunity to share the bliss TOGETHER! Arabian Nights theme!!! Dressing up highly encouraged! PRESALE: $20 or $10 for students. *Send payment via venmo to @ArtByAdelaide or paypal to info@artByAdelaide.com. Include full name and the name of your teacher if applicable. ANY SD teacher! :) Presale ends Oct 18th @ midnight. NIGHT OF: $25 general. $15 for students. DRESS UP & SAVE $5!!! In honor of the dance, expression and the mystery.